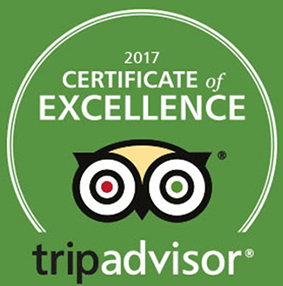 / Best Cheeseburger in Destin / Burger Monday – $6.99 with Drink – MEGA BARGAIN! 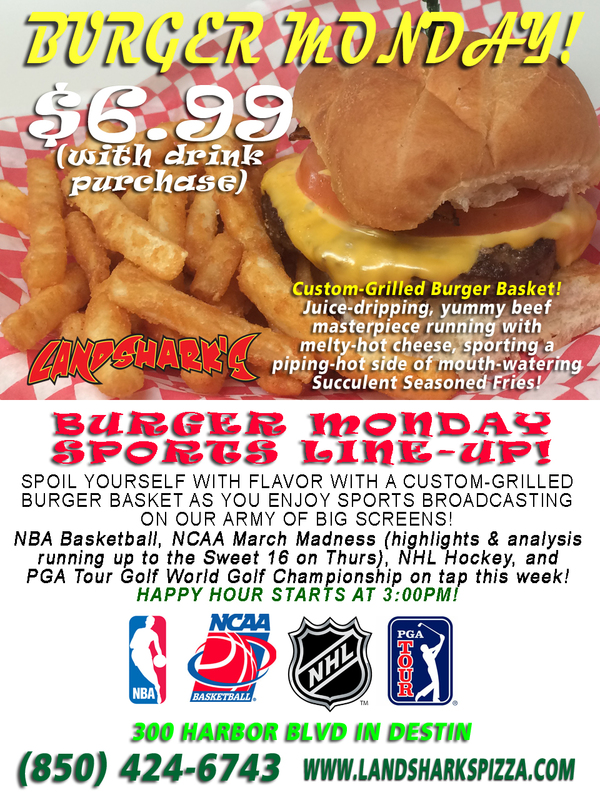 Burger Monday – $6.99 with Drink – MEGA BARGAIN! 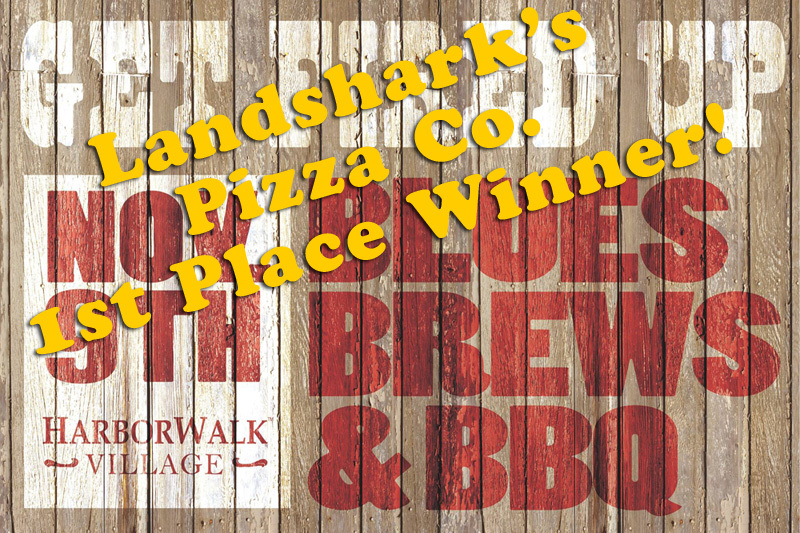 DESTIN, FLORIDA’S BEST CHEESEBURGER MEAL DEAL HAPPENS AT LANDSHARK’S! BACK IN THE LAND OF SUNSHINE! BURGER MONDAY! $6.99 Custom-Grilled Burger Basket featuring a our fabulous brontosaurus burger grilled up just the way you like it with melty cheese, fixins, hanging out with piping-hot SUCCULENTLY SEASONED FRIES – and all you do is take care of your soft drink or adult beverage. 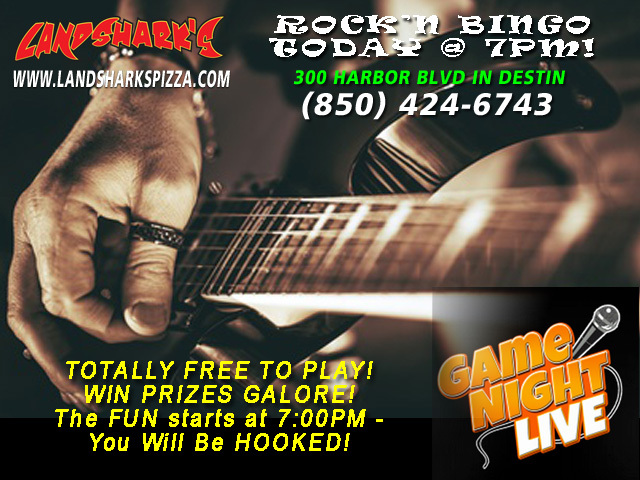 WHAT A DEAL to start off what’s going to be an AMAZING week of sports action ramping up to THE NCAA SWEET SIXTEEN! 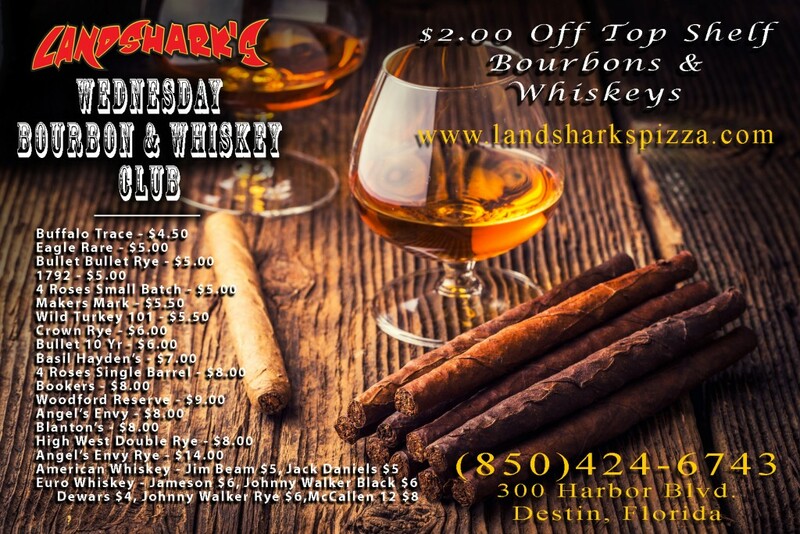 ENJOY THE LANDSHARK’S FULL BAR – We’ve got beverages for young and adult, soft drinks, bottles & drafts, local, regional, and national brews, Bourbons, Vodkas, Whiskeys – really great stuff and our HAPPY HOUR STARTS AT 3PM! 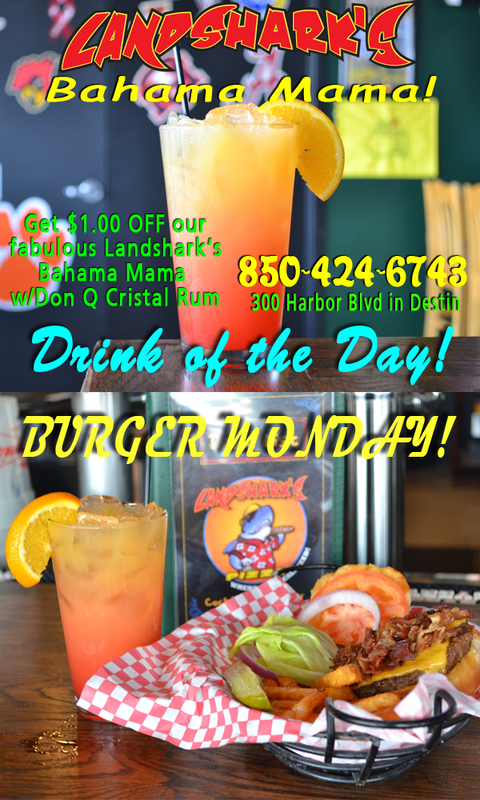 Previous Post: « Drink of the Day – $1 OFF Our BAHAMA MAMA!